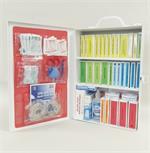 First Aid Products Online - Quality First Aid Kits & First Aid Supplies. 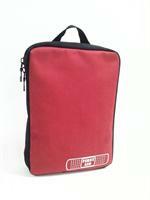 Very competitive prices and quick shipping. We take pride in our ability to offer quality products at competitive prices and strive to provide excellent service. 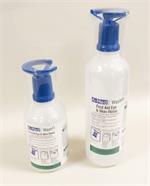 ANSI 2015 Class A and Class B Standards, Aviation, Blood Borne Pathogen Spill & Clean-up, Burn, CPR, EMT/First Responder, Farm, General Use, HF Acid, Industrial, Pool, School Bus, Spill, Sports, Vehicle, Waterproof, Welder's and many other types of first aid kits to help treat a variety of home, outdoor, travel and workplace emergencies. 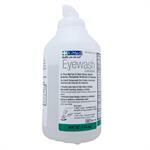 We also offer a large selection of quality first aid supplies. Products including: Adhesive & Wrapping Bandages, Bug Repellents & Poisonous Plant Products, Burn Dressings, Cold Packs, First Aid Cabinets & Bags, Face Masks, OTC Medicines, Sanitizers, Splints, Wound Cleansing Wipes and much more. Please select from the CATEGORIES list on the left hand side of any page or enter a search term in the SEARCH box at the top right of any page. 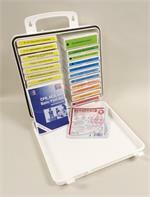 Periodically check the contents of your first aid kits for missing or outdated contents. 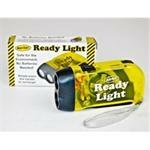 Do you need protection when working & playing outdoors? Zika Virus - The best way to avoid diseases spread by mosquitoes is to avoid being bitten altogether. Ready for Flu Season? See Flu Prevention. If you are having any difficulty finding an item or simply have questions about any of our products, please contact us and we will be happy to assist you. Dim: 6" W x 8" Tall x 2"
Save $$$ by the case... only $2.10 per bottle! 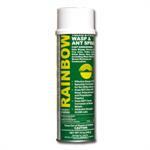 Buy a Single Canister or Case of 4 Canisters. Photos are for representation only; actual items may vary from pictures.